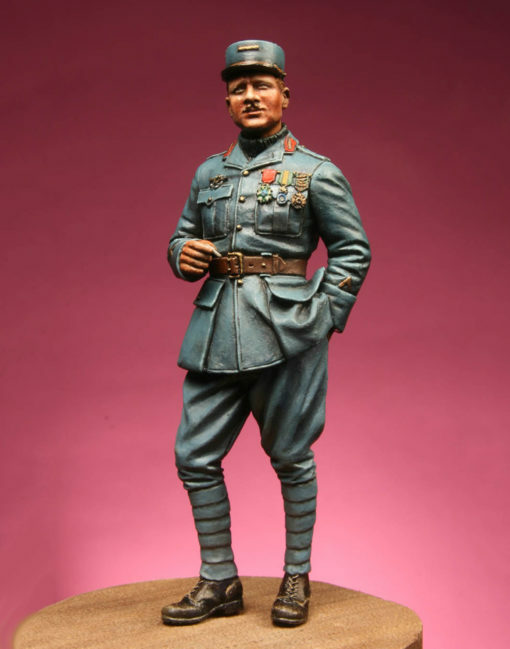 The Model Cellar would like to announce our new release: 1/32 scale Raoul Lufbery - Lafayette Escadrille 1917. We had previewed this figure at the MFCA show back in May, and now it is officially available on our website and ready for orders. Sculpted by Mike Good, the likeness is uncanny. Anatomy and proportions are 'spot on'. And, the details are clean, clear and crisp. Lufbery joins our range of portrait sculpts which began back in 2007 with Voss. Our range includes such staples as von Schleich, Bishop, Richthofen, Immelman, Boelcke, and Baracca.